“Buddhism has the characteristics of what would be expected in a cosmic religion for the future: It transcends a personal God, avoids dogmas and theology; it covers both the natural and spiritual; and it is based on a religious sense aspiring from the experience of all things, natural and spiritual, as a meaningful unity. “If there is any religion that would cope with modern scientific needs it would be Buddhism. “He farted loudly.” <—All things are in zen; especially a fart. Which brings forth laughter to even the riddled in hate filled individual. 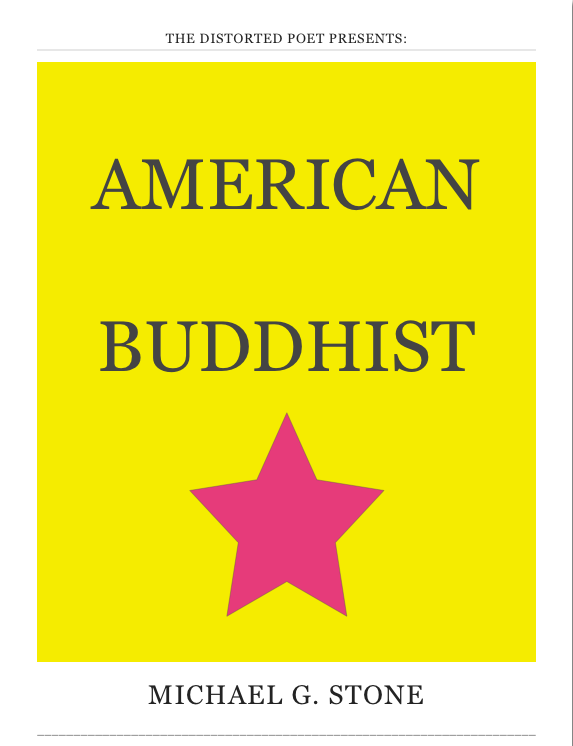 I guess I will wait and see after publishing American Buddhist where the future lies in readers across the globe. I desire to publish it this week, or the next. Considering this week has had a trying time in another attempt to freak the populous out, (Boston Marathon Massacre on April 15th) in which it accomplished; I kind of want to wait a little longer before having it published and perhaps write more about buddhism in general in blog posts. The storyline is similar to old buddhist lecture stories, with the trials and tribulations of suffering and the evil buddhist lord. So I covered the basics in the ancient literature and just brought it back to earth in the new world, which is our country; the American lands. I have always felt that the United States of America was simply the seed that has yet to bloom, in so many words. And perhaps the seeds of the buddha have only begun to rise in the nature of humanity and in existence in general. And one day, this new seed we stand on will grow strong as humanity progresses and shows its serene example into the bitter countries of old and ill historical value. Wars are fought time-and-time again over trivial things in religious cultures. Jews hate muslims; Christians hate Jews; Mormons feel they are the modern superior; and then there is more cultic religious beliefs; Satanists, Scientologists, catholics, seventh day adventists, baptists, pagans, the list goes on. And then, there are the sub generations in politics; Patriots, Democrats, Republicans, right wings, Independents, Liberals, Tea Partiers, Conservatives, and then the anarchists, terrorists, etc. And even racism is Believe-it-or-not very real as we segregate in many places around the globe, even in todays age. No one ever realizes we are human beings in our true state, until something extremely tragic arises (Sandy School slaughter, 9-11 Twin Towers and the extra building no one knew collapsed, the recent Boston Marathon blasts, just to mention a few) and we feel this common ground in nature to come together for a short period, and then–right back to our self-centered demise and individual hatred of one another all over again. And all of these things I mentioned have been around for generations. Always fighting spiraled wars (Continuous and repetitive), always trying to control others, and always trying to have some sort of power over others. When we all should be self aware in a free society. We are in modern times, not witch hunts and slaughters, and capital slavery. We should be over this primate state. However, we are still following old paths that our ancestors once followed, and we justify it as some sort of legacy. Or as the modern catch phrase goes “Hero”. And to justify anything like this as how we are perceiving it is simply outrageous. It is all ancient and old, and primitive in nature. You can teach a lion to keep his paws to himself. And that takes generations of lessoning, and suffering. And people justify it and agree, cause they too have suffered with loss and wish to justify it as vengeance. And their rage takes over them, bringing them right back into that primitive state you see in the form of lions and tigers and other predator animals. And now, we are in the year 2013, and we still roam with suffering in our native lands amongst many women, children and men in our society today. Asian, and many other countries are still going through major dictatorships and corruption that we never read about nor watch on television; and this is simply due to the countries in our modern world still residing in some world from the year circa 300. And no cameras are allowed in these regions. And if someone does attempt to, they immediately become shot and killed on sight. I feel that Chicago, Illinois is in a similar default, considering the police forbid citizens the right to film them while they are on duty. Now, I can see that happening in early 1900’s perhaps … not now. However, it is happening and one could be jailed for simply filming an officer on duty in the State. And don’t get me wrong, there is a lot of places out there now that does the exact same thing, or worse. The book American Buddhist is far beyond this in intellectual right as our modern world needs to be. And although it is a story, mind you; I feel that it is a staple into good fortune to the world beyond us in the future generations to come. I do not have a set date on the release of the book, however I know that I will first publish it as a digital copy and see how that rides and perhaps someone will ask to help me publish it as book/Paperback and Hardcover format; in which will in the end be very nice. AS of now, AMERICAN BUDDHIST is not released. I wanted some time for people to lesson their minds in what has happened on April 15, 2013 before making a final decision on when to publish the book. I could publish the book soon though. Suffer well, I know I do. ~ by The Distorted Poet on April 17, 2013.